- Negotiations between the governments of Somalia and the autonomous breakaway state of Somaliland are set to resume within the next month. The question of Somaliland’s status as an independent country or as a region within Somalia has previously proven impossible to resolve. However, a softening of attitudes in Somaliland and the appointment of Fawzia Adan, a Somalilander sympathetic to the desire for independence, as Somalia’s Foreign Minister is creating hope that with time progress can be made. The two governments are starting talks from very different positions. Whilst the government of Somalia wants to form a united republic with Somaliland, the Somaliland government has long rejected this. Instead the government in Hargeisa has been attempting to gain international recognition of its statehood ever since it declared its independence from Somalia in 1991. These attempts have been unsuccessful and Somaliland has made little progress in achieving its goal. Although many countries accept that Somaliland fulfils legal criteria for statehood, none of them have recognised it. In Hargeisa the blame for this is placed at the door of their southern neighbours and the geopolitical interests of the international community. There is a fear that recognising the independence of Somaliland will fuel conflict in the region. Al-Shabaab is committed to a united Somalia and, despite the recent success in pushing the group out of major towns and cities, it still poses a significant threat. Regular bombings and assassinations indicate that al-Shabaab is launching an insurgency against the newly established Mogadishu government. Recognition of Somaliland independence may worsen this situation. Discussing international recognition is a national obsession in Somaliland. People believe that the country will only develop if it is afforded the status of an independent state. “Only if we have recognition can we get all the things like insurance companies and banks, which will encourage investment to come here and Somaliland is desperate for foreign investment” explains Mowlid Mohamoud Ibrahim, Somaliland’s Vice Minister of Foreign Affairs. Somaliland certainly is in desperate need of investment. The country’s infrastructure is basic at best but mostly non-existent; youth unemployment is estimated to be over 60 percent and a fast growing population is exacerbating these problems. But it is not just economic development that people believe will come from recognition. “Recognition will not only help Somalilanders, but the whole region. For example, piracy and al-Shabaab cannot be solved without working together [with Somalia] as equals,” continues the Vice Minister of Foreign Affairs. Although there is some truth in this, there is still the risk that recognition will destabilise the region. It will be necessary to balance these two positions if these talks are to bring progress. This change in attitudes amongst many in Somaliland displays a realisation that a different approach is required. Somaliland cannot get recognition so is unable to develop, but the Mogadishu government’s plan for a complete reintegration of Somaliland into Somalia is unacceptable to the people. Instead, a third option is needed. A loose union between the two states is being put forward as this third option. It would not involve a complete integration of the two states, but instead regional governments would administrate Somalia and Somaliland separately. Only on matters of joint interest, such as piracy and al-Shabaab, would the regional governments work together. It is hoped that this will be acceptable to staunch unionists in the south, whilst still giving Somaliland the legitimacy it needs to attract foreign investment. Those in favour of independence argue that Somalia’s insecurity and undeveloped government make it incompatible with Somaliland. The Vice Minister of Foreign Affairs of Somaliland takes this position. “Unity won’t work as there is no balance between Somaliland and Somalia. They have nothing to give us in unification”, he explains. However, the differences between the two may not be so great as to make a loose union unworkable. The newly formed government in Mogadishu is making significant progress in establishing formal governance in Somalia and an improving security situation is encouraging brave investors to look at the country. Meanwhile Somaliland’s governance record has been tarnished in recent years. The Parliament is increasingly seen as a rubber-stamping chamber, whilst the government of President Ahmed Silanyo has been accused of divisive nepotism favouring particular clans. The November 2012 local council elections were followed by reports of multiple voting and accusations of bias in the National Electoral Commission. This led to unrest in which over 20 people are believed to have been killed. Questions are also being raised about just how committed to independence the Hargeisa government actually is. 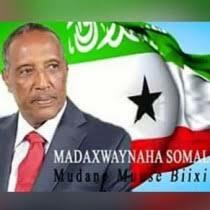 “I think the position of Somaliland is influenced by individual interests. Someone wants to stay in power so doesn’t want to say that the past twenty years have not worked,” tells researcher Abdifatah Tahir. If the idea of a loose union with Somalia gains public acceptance, the official position of the Hargeisa government is likely to change. A loose union between the two states may well be a workable solution and if stances continue to soften a more pragmatic approach to Somaliland’s future could be emerging. Yet it is highly unlikely that the upcoming negotiations will result in any agreement. Politicians on both sides are still mindful of the need to be seen to be sticking up for their people and this means not making any concessions. It will take a great deal of time if the idea of a loose union is to gain widespread public support and until then little progress in resolving this 22-year-old dispute can be expected.